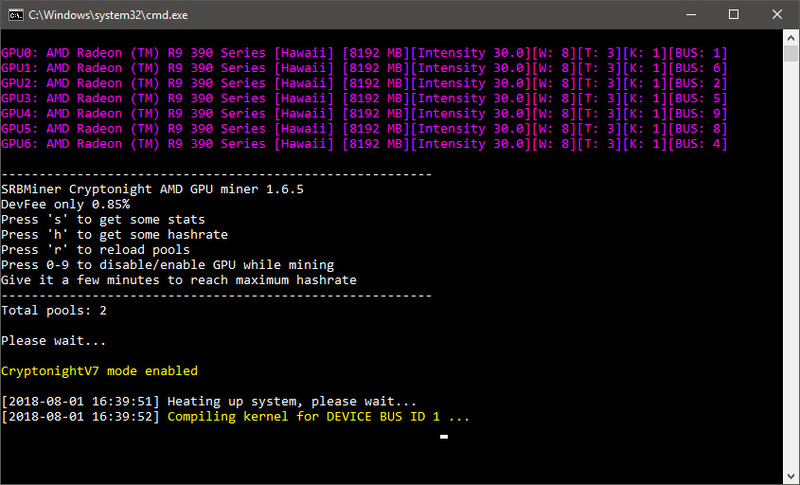 A new version of the popular CryptoNight AMD GPU miner SRBMiner is now available bringing some new features and a number of improvements worth updating if you are mining any of the supported Cryptonight algorithms. The latest version 1.6.5 adds support for one new algorithm – Cryptonight Red (MoX Project) that is about to soon launch. New benchmarking parameters are added that give you the ability to benchmark your settings offline, so you don’t need to connect to a pool anymore just to test hashrate performance of an algorithm. 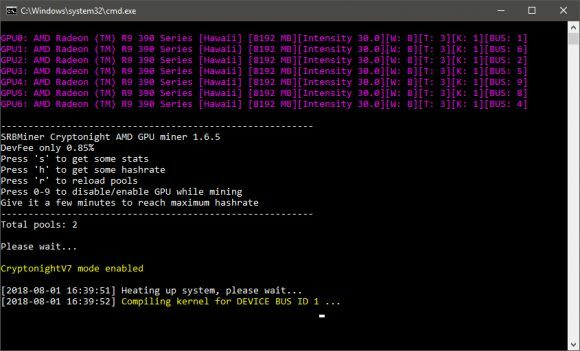 There is no more need for compute switching software, you can do it now easily from SRBMiner via a dedicated command line parameter that will find all your AMD cards and set them to compute mode, and also disable crossfire on them. Te latest version of the miner is now just one executable file, so no more dll files are needed making it more portable. Do note that for optimal performance it is recommended to use the Adrenalin 18.6.1 or Adrenalin 18.3.4 AMD GPU drivers, you can also use the old Blockchain drivers or the newer 18.7.1, but with reduced performance.